Bob Regan once again lets us into the vaults of western Pennsylvania’s storied past. His previous books-The Steps of Pittsburgh, The Bridges of Pittsburgh and The Names of Pittsburgh-have all received acclaim, attracting thousands interested in the Pittsburgh’s storied past. 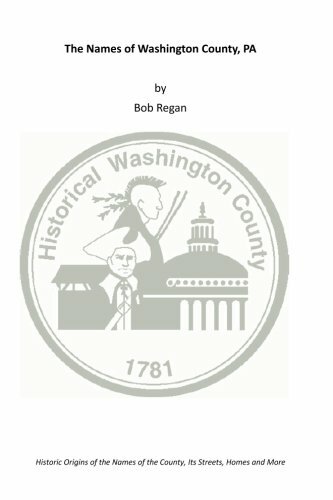 Undoubtedly, The names of Washington County will do the same for the region south of the City of Pittsburgh as he brings to life the historic elements of this county.